The decision came despite Israeli Prime Minister Benjamin Netanyahu’s wish to delay the decision, and despite the Israeli attorney general warning to the committee that he would not be able to defend the the so-called “Formalization Bill” in the Supreme Court, as it contravenes international law and that there was no legal precedent for the expropriation of lands privately owned by Palestinians. While the some 196 illegal Israeli settlements in the occupied West Bank and occupied East Jerusalem are considered illegal under international law, a further 232 settler outposts were also considered illegal by Israeli domestic law. However, Israeli authorities have often individually legalized outposts retroactively by declaring them official settlements. Netanyahu had implored that the vote be delayed until the Israeli Supreme Court reached a decision whether or not to postpone the evacuation of illegal Amona outpost after the attorney general reportedly warned that voting on the bill prior the court decision would “would significantly harm” the changes for postponement. 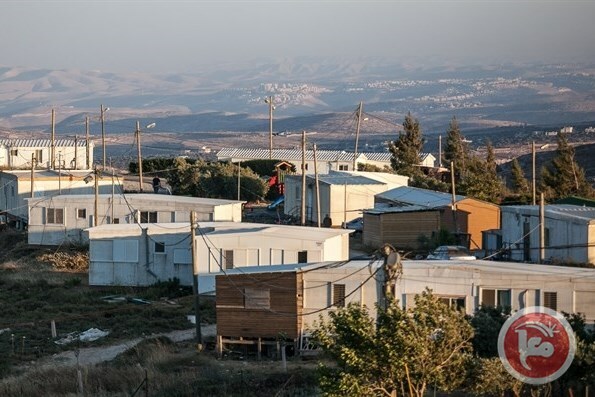 The legislation that was passed Sunday evening, after facing a revision, would apply only to settlements established with the involvement of the state — which includes Amona, but not to those that were establishment without state involvement. The Amona outpost was slated for demolition following a 2008 Israeli Supreme Court decision after eight Palestinians from neighboring villages — with the support of Yesh Din — successfully petitioned the court to remove the outpost on grounds that the construction was carried out on privately owned Palestinian land. Meanwhile, some members of Israel’s parliament, the Knesset, have publicly announced their support for plans aimed to annex the entirety of Area C — the area of the occupied West Bank under full Israeli security and civilian control. While members of the international community rested the solution to the Israeli-Palestinian conflict on the discontinuation of illegal Israeli settlements and the establishment of a two-state solution, Israeli leaders have instead shifted further to the right.